Are you looking for a way to make your house stand out from all the rest? Landscaping your property is among the most effective ways to make it aesthetically appealing and unique. Plus, the boost in curb appeal can increase the value of your home and even make you the envy of your neighbors! Before you make any decisions, talk to a landscaping company about landscape design. What’s the difference between softscaping and hardscaping? A professionally designed landscape will feature a balanced mixture of softscaping and hardscaping. Softscape refers to everything in your yard that grows, including flowers, shrubs, trees, and succulents. Hardscape is the exact opposite. It refers to the non-living design elements in the landscape. These can include anything made of brick, stone, and concrete, such as walkways, patios, and retaining walls. It’s always preferable to balance these two elements. A landscape that relies too heavily on softscape might look overgrown, while a landscape with too much hardscaping might look too industrial. How can I design my landscape to enhance privacy? Privacy is a major concern for many homeowners. It’s nice to be able to enjoy your backyard without being in full view of the neighbors. A professional landscaper can definitely help you develop a design that makes your space a sanctuary. If you’d rather avoid privacy fences, for example, you might consider planting large trees with lots of foliage, tall shrubs, and flowering vines. Can I landscape on a slope? Steep slopes can be frustrating for homeowners. A professional landscaper can develop a plan that reduces erosion, improves drainage, and maximizes the functionality of the space. Retaining walls and stepped terraces are often helpful for properties with steep slopes. These structures can be built of natural stone. They’ll help support the softscape. You can find the answers to all of your questions at Complete Landscaping. 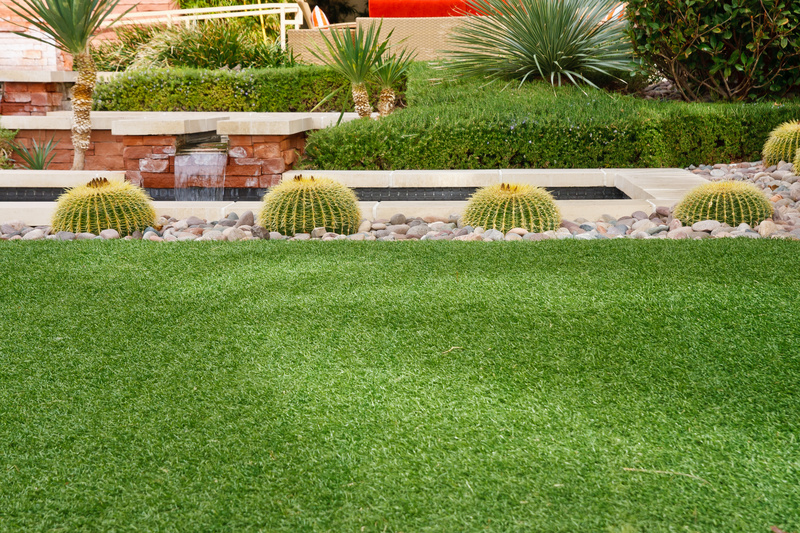 Our experienced team of landscaping professionals delivers custom designs and installations for residential and commercial properties throughout the Tucson area. You can reach a friendly staff member at (520) 323-8918.